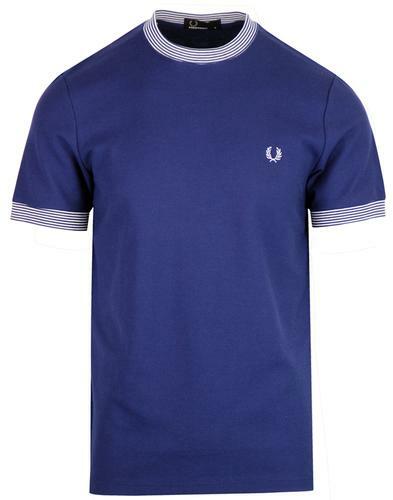 Farah Ewood retro men's contrast colour panel short sleeved t-shirt. 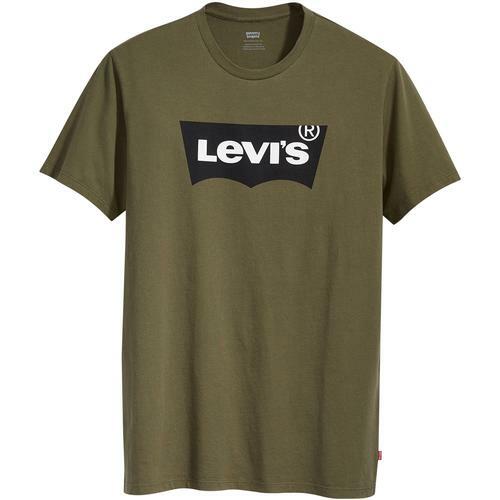 This cool t-shirt has a chic cut and sew element to it giving it a more retro look. 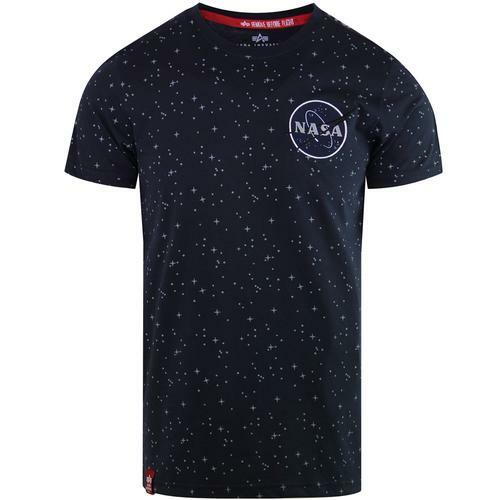 The top is a true navy and the bottom is a pure white, bot have cut and sew stitch effects to them in the same colour thread. 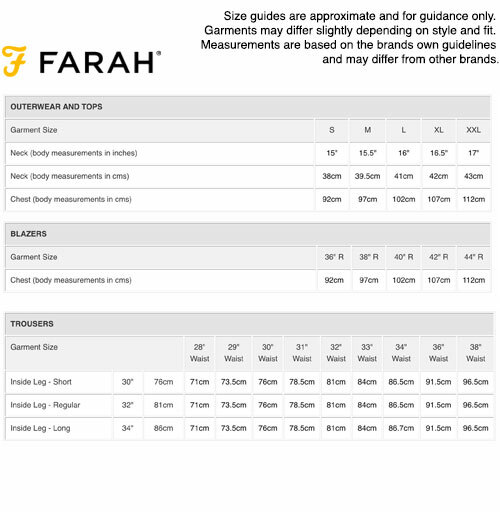 A golden Farah motif, their signature F, is embroidered onto the chest. A contrasting red ribbed ringer collar finishes off the t-shirt with style. 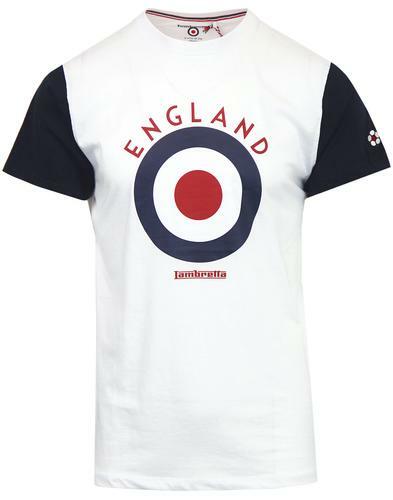 Ewood retro contrast colour panel t-shirt from Farah vintage. Cut and sew style panels in white and true navy. Golden Farah motif on chest.